A federal agency criticized for working on the Trump administration’s pro-drilling agenda during the partial government shutdown announced on Wednesday that it would give the public an extra month to comment on a report addressing oil development in the Arctic National Wildlife Refuge. The 700-page draft environmental report is part of the federal government’s effort to hold a lease sale to oil companies in the refuge’s coastal plain, as early as this year, setting the stage for eventual drilling. Congress ordered lease sales in late 2017. The Bureau of Land Management made the report available for public review shortly before the five-week shutdown began Dec. 22. The funding lapse forced most people in the agency to stop working, though some agency efforts tied to oil activity continued. 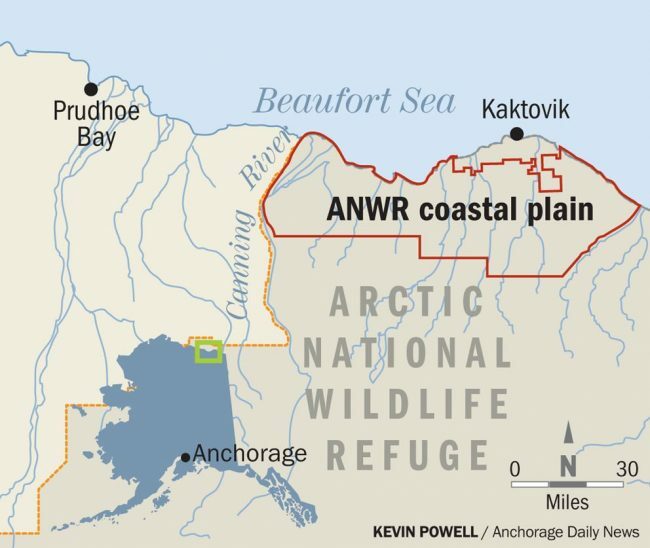 Conservation groups and others, unable to reach officials to answer questions, demanded additional opportunities to weigh in on the effort to drill in ANWR. The original comment period was set to expire Feb. 11. During the shutdown that ended Friday, BLM postponed public meetings about the report. The report provides different development scenarios in the refuge’s 1.6-million-acre coastal plain. It proposes making at least 1 million acres available for leasing, offering protections for the environment and prized animals such as caribou. The meetings are planned for Feb. 4 in Fairbanks at the Carlson Center; Feb. 5 in Kaktovik; Feb. 6 in Utqiagvik at the Iñupiat Heritage Center; Feb. 7 in Fort Yukon; Feb. 9 in Arctic Village; Feb. 10 in Venetie; Feb. 11 in Anchorage at the Dena’ina Civic and Convention Center; and Feb. 13 in Washington, D.C., at the National Housing Center. Additional details about the meetings, and updates if necessary, are available at the BLM’s ePlanning webpage for the Coastal Plain Oil and Gas Leasing Program.